Welcome to my art page. 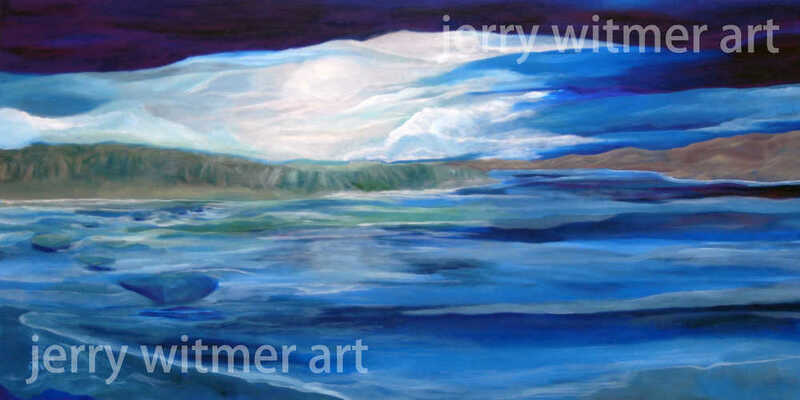 Here you will find a selection of original oil and acrylic oil paintings of landscapes, abstract visions, and portraits by Jerry Witmer, a Salt Spring Island artist. The collection includes framed and non-framed prints, greeting cards, and art printed pillows. Inspired Landscapes Exhibit : A collection of oil paintings and prints is inspired by some of the beautiful places I have experienced on Salt Spring Island, interpreting the light and colour in my own way, to show the details that I enjoyed while there. All painted from memory of a certain place in time. Currently on Exhibit at Art Spring. Daily 9 - 4. April 2 - April 30. 100 Jackson Avenue. Studio pricing in CDN Dollars. Online pricing in USD Dollars.